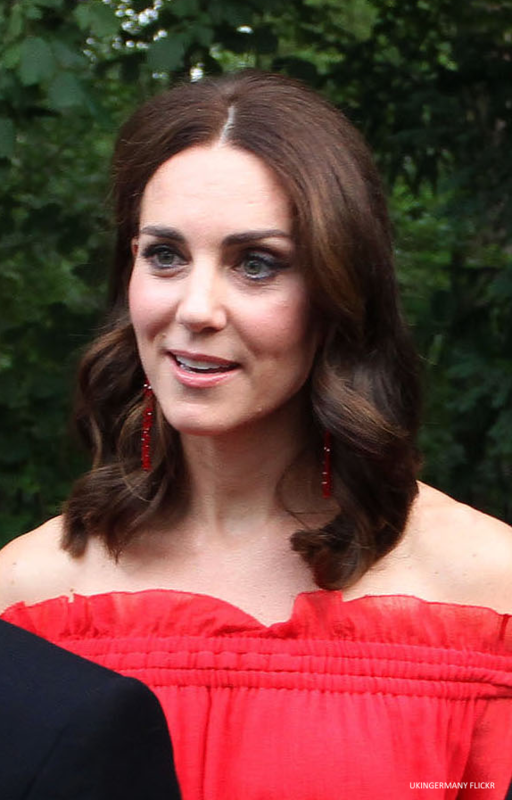 In July 2017, the Duchess of Cambridge (Kate Middleton) attended a Garden Party in Berlin, Germany. 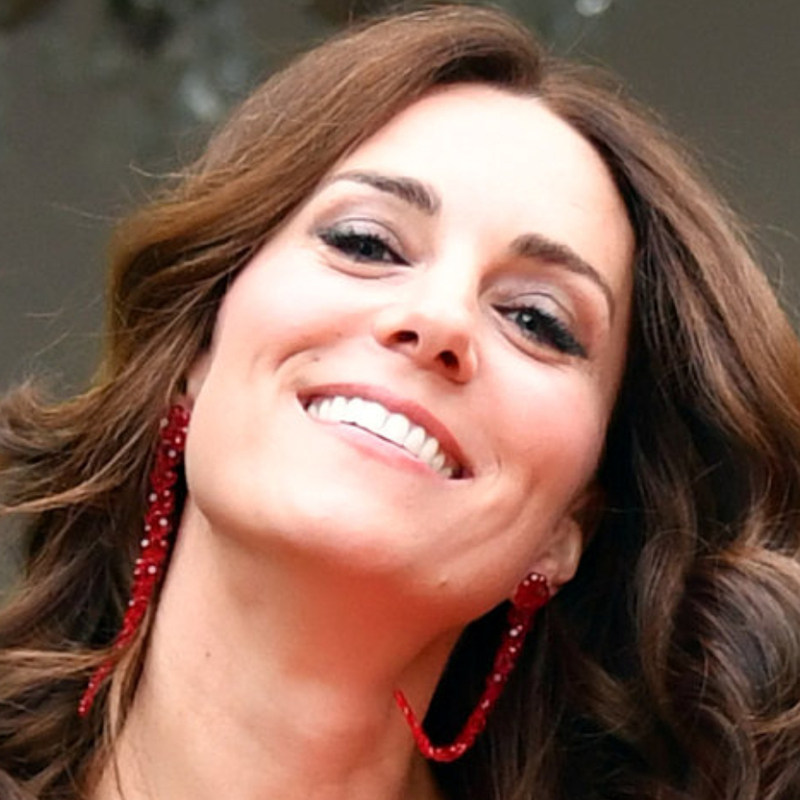 She debuted a new pair of red earrings by Simone Rocha. The red drop earrings are made from glass beads and feature a pretty flower bead at the top. They’re made in Italy. This is the first item Kate has worn (to a public engagement) from the Irish designer. 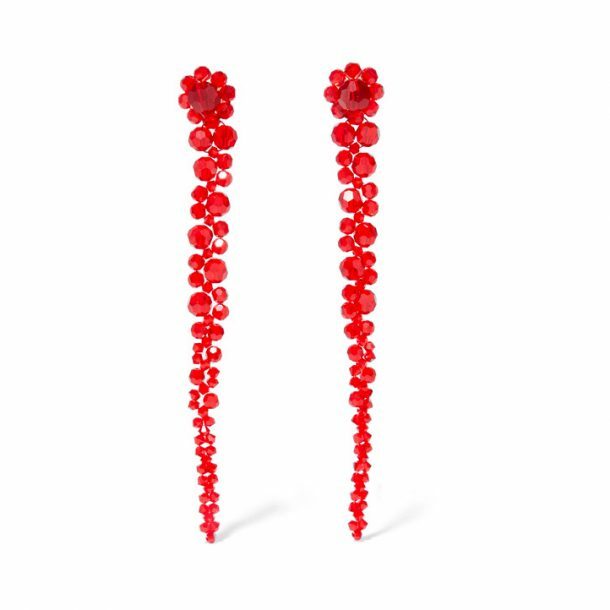 At the time of writing (16th August 2017), the red beaded Simone Rocha earrings can be purchased from Nordstrom.com for $265 and MyTheresa.com for £195.